The Marston Vale Horse Riding Trail at Forest Centre & Millennium Country Park Horse RidingYou can explore the 250 hectares of woodland, wetland and grassland on horseback. 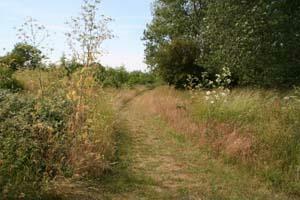 We have created a 2.5 mile circular horse trail around the southern part of the Country Park. Start/Finish Point: The complete route is a circular trail starting at The Forest Centre at The Forest of Marston Vale - TL005416. You can explore the 250 hectares of woodland, wetland and grassland on horseback. We have created a 2.5 mile circular horse trail around the southern part of the Country Park. How to get there by car/parking: From junction 14 of the M1or from Bedford follow signs for The Forest of Marston Vale from the A421 through Marston Moretaine. There is parking available at the Forest Centre. Disabled access, level, surfaced paths throughout the park, toilets, cafe/bar, gift shop, dogs welcome in outdoor cafe area.